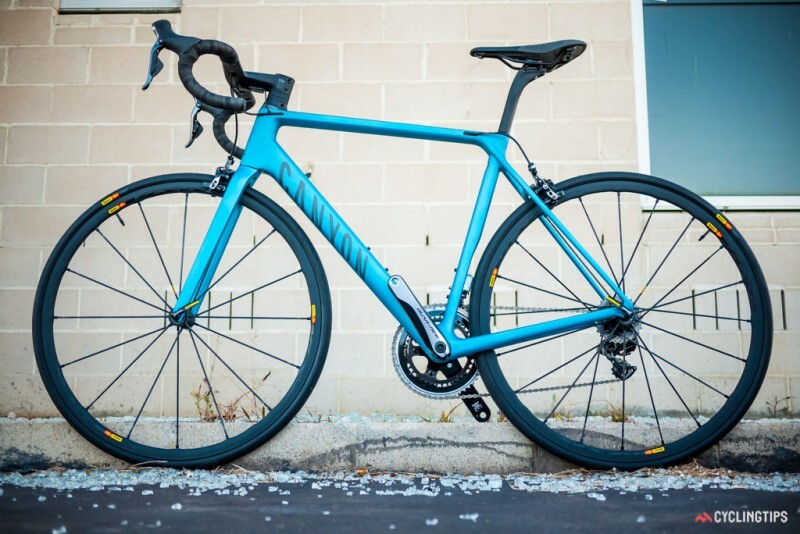 It looks like Canyon, the German-based road bike manufacturer, are releasing new models of their popular Endurace and Ultimate bikes, which will offer a range of improvements — especially their women’s-specific frame geometry. The redesigned and updated models are lighter, more aerodynamic, and have a range of interesting new features. The seem to be heading in a great, new direction of offering women’s-specific geometry — something new for the German brand, but something that is increasingly important for riders worldwide. The upgrades include the carbon framed Ultimate WMN CF and Endurace WMN CF, plus an aluminum framed model (Endurace WMN AL), which all feature hydraulic disc brakes with no rim-brake options available. This seems to be the direction Canyon has been moving towards, and this is a lifesaver for the company since one of the top 5 trends of the last two years has been consumers’ increasing preference for hydraulic disc brakes over caliper. Canyon has extended their range to include a new, much smaller, XXXS frame size. 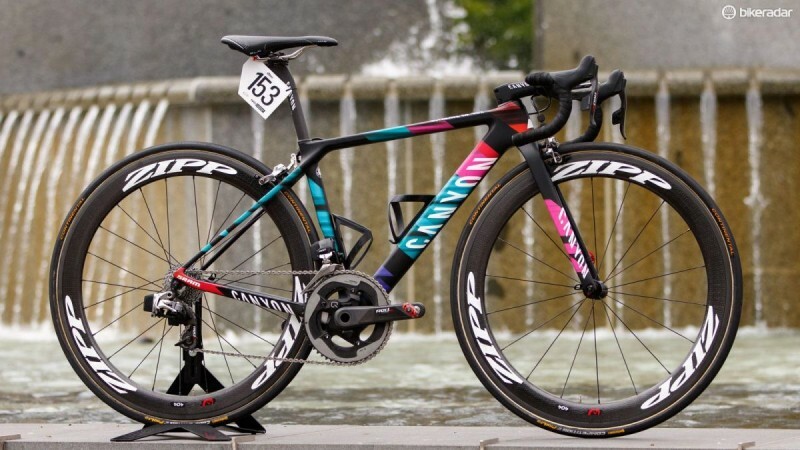 This means that riders from 152cm and upwards can finally be catered towards in the road bike market — clearly Canyon saw the consumer demand and finally made a change as they incorporated more female-friendly features and design/construction aspects to the new bike models. Further, the two smallest sizes in the range, the XXXS and XXS, now feature 650b wheels rather than the 700c standard. This is an interesting lean towards 650b’s — we even wrote an article recently regarding the popularity of 650b wheels and how they are becoming the preferred size for those hitting the trails, CX riding, and riders who want an off-road option. The new redesign does not just extend to the geometry of the frame — both the Endurace and Ultimate models have been completely re-engineered which has resulted in a lightweight carbon layup and a redesigned frame tubing which is narrower in some places, and now features a more aerodynamic profile. Check out Canyon’s video of the new Women’s (WMN) Endurace and Ultimate models! The subject of whether women want or need cycles with a specific female-geared geometry has been an ongoing debate in the cycling world. Thankfully, most brands see the sense in offering high-tech and high-quality women’s-specific geometry and they favor a range of approaches to give women riders the best bikes they can. Some individuals in the cycling industry feel that the physical differences between the average man and woman are not significant enough to warrant such changes — that the correct frame size plus a good bike fit (by swapping in and out parts) is the best idea. Other individuals and brands (such as Liv Cycles) make better sense and state that according to real, hard data, that the average woman is physically different enough that they would greatly benefit from a bike that offers a different geometry than those on “unisex” frames. And we agree — women should not have to settle for unisex bikes when men get the best of both worlds (men’s and unisex model bikes geared best towards their height, body, and reach). Create the bikes and you will see that demand and supply will be met — it will also infuse the biking industry with new riders. Creating women’s-specific bikes are not taking away from designs or innovation in men’s cycles, so nay-sayers must have a different agenda for their opposition to women’s-centric bikes. Perhaps an anatomy lesson, a class in ethics, and a look at data will show this to be a great move for the industry as a whole. 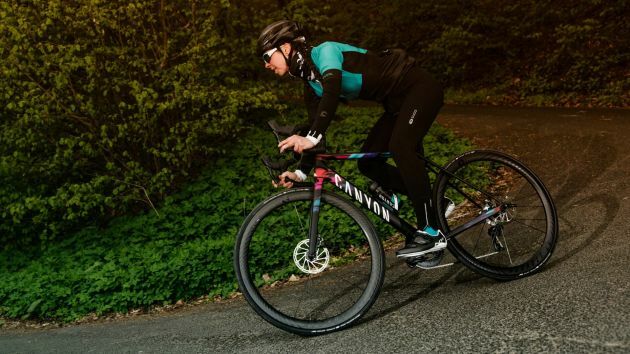 Until their new reveal of women’s road bikes, Canyon has nas only offered unisex frames instead of using women’s-specific finishing kits such as saddle and handlebar widths to achieve a better fit. The journey for Canyon began three years ago, when the decision to compile data and make changes was made. According to Katrin Neuman, women’s product manager at Canyon, this decision was based around research into the body dimensions collected by the Canyon brand itself. If you have ordered from Canyon before, you know how it works. Via the Canyon website, you input various dimensions including your height, leg length, arm length, and gender. This allows Canyon to use its large database of body measurements spamming many years. Some of the differences noted by the collected data from the years has shown that, on average, women have slightly shorter arms than men, which does affect their reach. Data has also shown that the “longer legs, shorter body” view is not borne out by the data collected. Also, the women in the dataset are, on average, of lower weight-to-height than men. 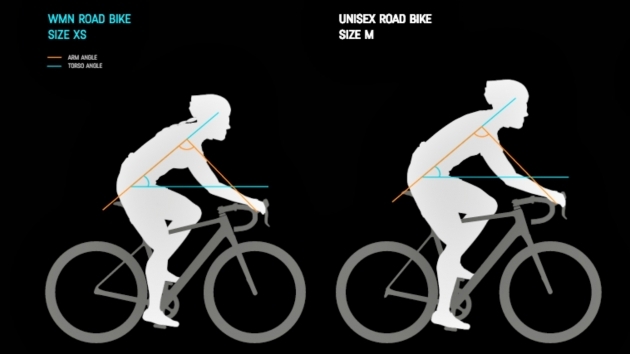 Finally, women are on average shorter than men, and the average height of women in the dataset meant that the average size bike for a woman in the Canyon range is an XS — as opposed to the M size that is most popular among men. This is why data matters. The results of the data collection, analyses, and dissemination of the data has resulted in new bike/frame geometry and frame design. In order to take into account the body dimension differences we spoke of earlier — such as shorter arms — Canyon has opted in favor of bikes with a shorter reach and higher stack for WMN models compared to the offerings of their unisex frame design that it offered previously. By doing this, Canyon has stated that it will allow women to achieve that same on-bike body position that men have been able to do. The two models (Endurace and Ultimate) are designed to suit two different preferences for riding styles, as before. 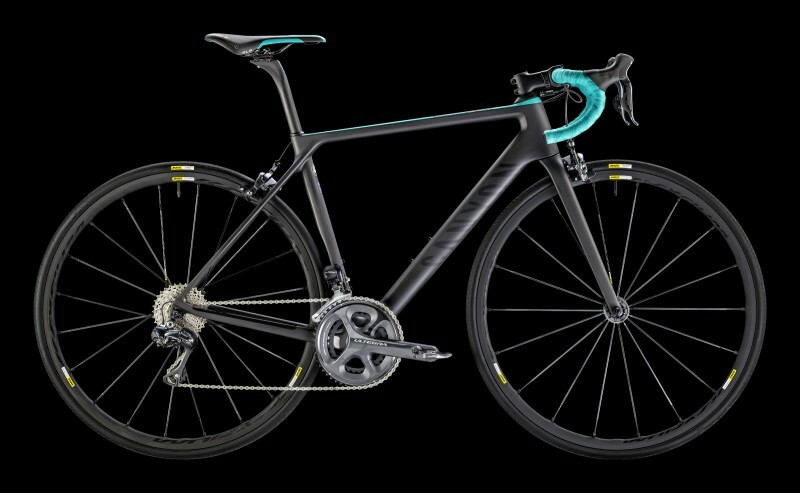 The racier Ultimate WMN will feature what Canyon tates is its “Sport Pro Geometry” which places the rider in a more aggressive race position upon the bike. The Endurace WMN has Sport Geometry as well, and is a more upright, comfort-focused ride (hence the model name, Endurace, which is a long-range bike type with comfort and functionality combined). 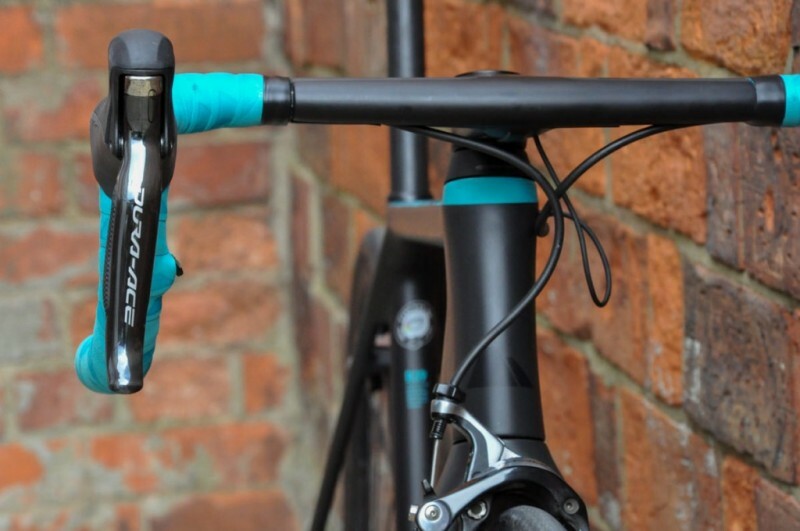 Due to the data we spoke of earlier that suggested women are lighter in weight per height than the average male rider is, also means that Canyon had the opportunity to look at the carbon layup and design of the frame tubing itself. Remember — lighter riders (in this case, women) need less material to support their weight and thinner tube structure offers greater flex, which in turn, means better absorption of vibration and in the end, comfort. To this end, the German company has redesigned the shapes of the various frame tubes completely, which has resulted in a much lighter frame. 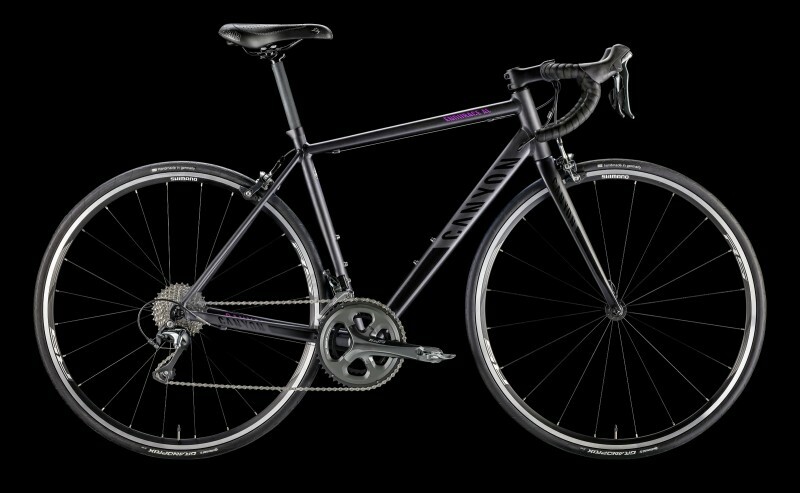 In fact, Canyon states that the new Ultimate model is the lightest frame it makes, at 765g for the XS size (the most popular size for women, according to the data). 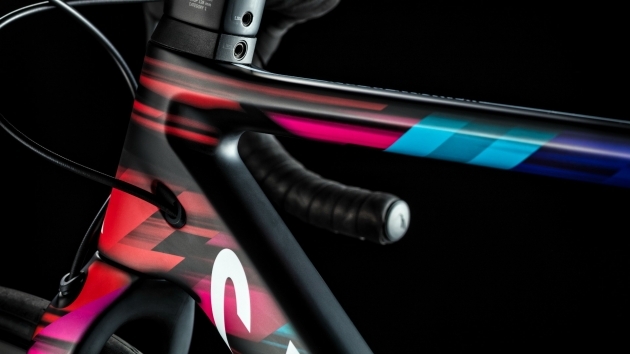 This was a great opportunity for the company to make the frame more aerodynamic and you will notice new tube shapes, which Canyon claims makes the bike more aerodynamic — either way, the new design and color scheme are off the charts cool. One point that has caused the most stir at the pres camp in Koblenz, Germany (Canyon’s home ton), was the news that there would be no offerings of rim-brake options on the new bikes. The trend of disc brakes has grown exponentially over the past year or two and Canyon states that it is in their opinion that disc brakes perform better and are better additions to their new models. This is something that for racers who want power and control, is universally agreed upon — specifically with the advent of flat mounted brake calipers and thru-axles, which add stiffness. The differentials in braking power of disc brakes over rim brakes will need to be taken into account when riding in groups and when racing. 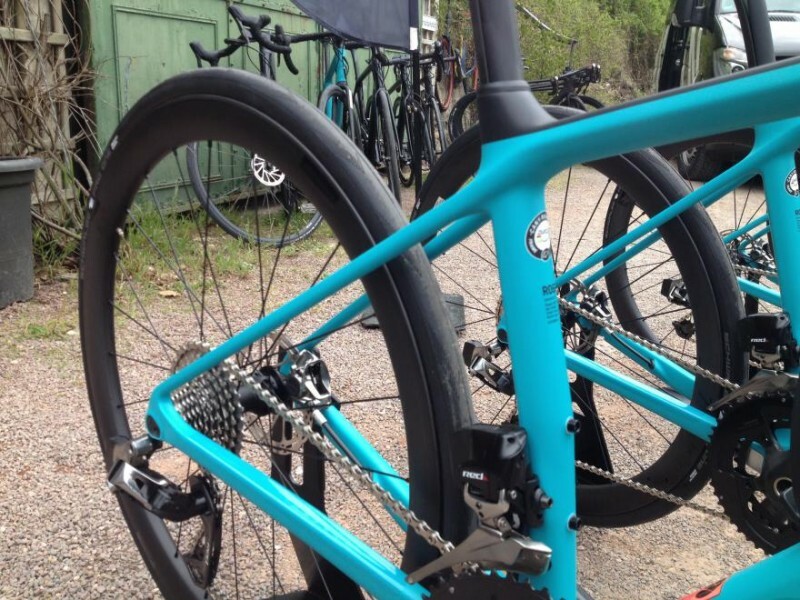 Riders from the UK have noted that British Cycling does not allow disc brakes right now, which is likely to have an impact on purchasing decisions of some potential customers — but not a huge amount. Another factor is Canyon’s addition of the new XXXS size – this means that the Endurace WMN and Ultimate WMN now has ranges that cover women from 152cm to 186cm. This makes Canyon one of the only brands around the globe that offer cycles to women at the more petite end. Canyon has opted to fit both XXXS and XXS bikes with a smaller 650b wheel. Typically, smaller frame sizes in a range fitted with 700c wheels have to be tweaked geometrically so they can fit the wheels correctly. This typically involves slackening off the head angle, which then affects the handling of the bike. So, by going for a smaller wheel size, this means that the head angle — and handling of the bike — can remain consistent across the range of sizes offered. Younger riders that are looking to move forward in racing and cycling may also benefit from the new smaller size — they will be able to access high-end, performance bikes from Canyon that are designed to suit smaller riders without compromising on specifications or parts. In addition, smaller wheel sizes mean less of a likelihood of toe overlap, which is a huge improvement in one’s riding experience.